“As you can see on video, the catcher kept staring at every single hitter as they were digging into the box. That’s not a very comfortable feeling, having the catcher staring at you while you’re digging in the box. It’s a little disrespectful, to be honest. 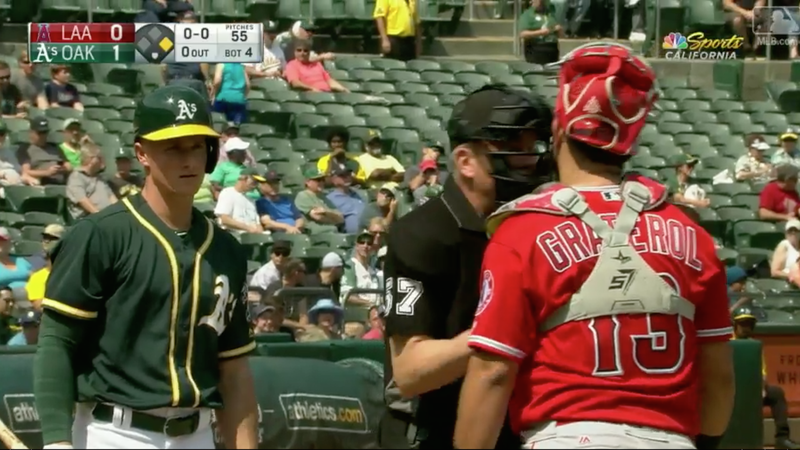 Please treat Matt Chapman and his last-place teammates with respect. Do not stare at them while they’re getting in the box. Just look away. Thanks.